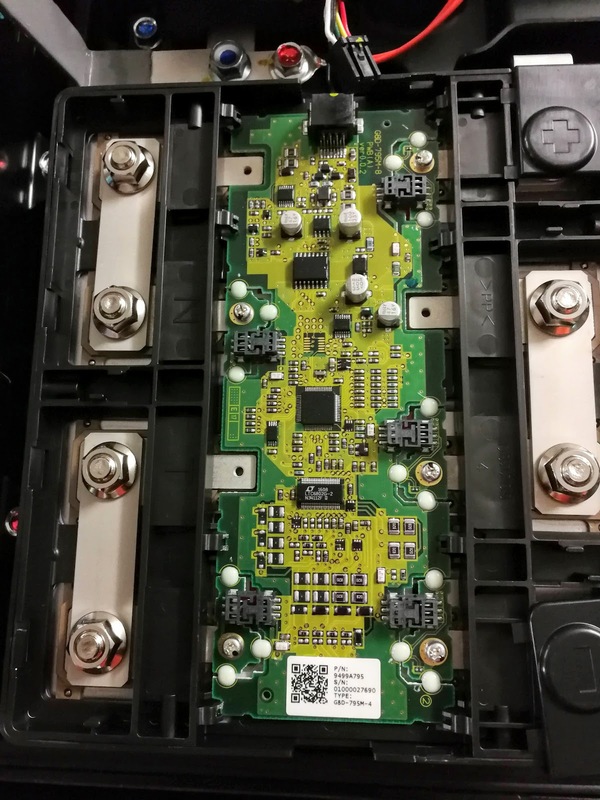 I've been looking into doing a conversion and I'm hoping to get my hands on a imiev battery pack and I was wondering if anyone has successfully used the bms that is in the pack? Or is it all too hard to interface with and I should just go for an aftermarket one? I would definitely recommend an aftermarket BMS for a conversion. Just use the cells as they are and install a known entity from ZEVA/EV-Power/Batrium. Still hang onto the boards, someone may one day crack it. I'd be way too much of a hoarder to throw them out. The battery pack is not a done deal but at this moment it looks like my best option. If it came with a functioning bms that would just sweeten the deal. Indeed. It looks like the boards come out pretty easily (with the battery cover off, of course). Just 5 screws and one connector. The screws make the connection to the four cells, and connect to the CMU board via their own connectors. Though the 7 plastic tabs might be a pain to get out of the way if they don't bend easily. You'd have to get at least 3 (for one side) bent at once.